In a genre filled with wacky spectacles such as God of War, Devil May Cry, and Bayonetta (among many others), standing out as the most insane, over-the-top action game is no small feat. Asura's Wrath may not be a great, all-around experience like those titles, but it definitely boasts some of the most absurd action I've ever had the pleasure of witnessing in a video game. The perpetually-enraged Asura is one of eight general demigods tasked with protecting the Earth from an unstoppable and wicked entity known as the Gohma. However, his allies become so desperate to eradicate this threat that they go as far as to murder their emperor, who they viewed as weak, and frame Asura for the crime. They also kidnap his daughter, Mithra, a young priestess with the ability to amplify a demigod’s powers, but Asura’s wife is slain during the abduction. Asura is then cast out from their pantheon and into the depths of the underworld. After thousands of years, he returns on a raged-fueled mission to rescue his beloved daughter and destroy the gods who betrayed him. Confrontations are epic and tend to be global in scale, leaving you baffled as to how the world is still habitable after every battle. 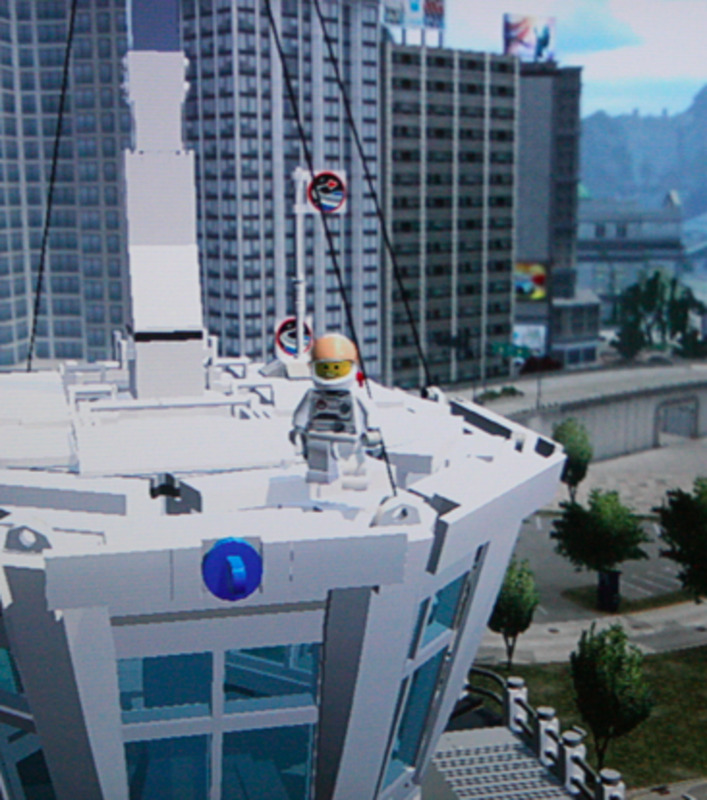 One fight begins with Asura and his master relaxing in a hot tub before rocketing to the moon for an epic showdown. This fight culminates with Asura being impaled with a hilariously-long sword through the Earth itself. Another bout featured an opponent growing even larger than the planet and using his cosmic-sized finger to try to crush our, by comparison, ant-sized hero from space. Entire fleets of battleships are regularly brought down multi-handedly. This game goes out of its way to be as aggressively stupid as possible and I relished every dumb moment. I couldn’t wait to see how it would be able to top each outrageous scenario and, somehow, it usually did. 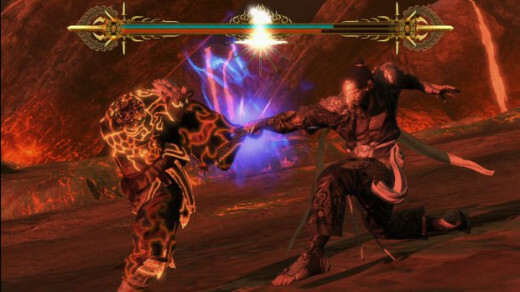 Fans of the Naruto fighting games will notice similarities in Asura’s Wrath’s combat (which makes sense, given they share the same developer). Battles take place in spacious arenas and feature the signature combination of light and heavy attacks, energy blasts, and aerial rushes. The fast-paced combat feels good and offers a ton of mindless thrills, even if it doesn't offer too much depth overall. Annoyingly, the game regularly regurgitates encounters made up of the same enemy types, adding a layer of tedium to combat. This makes boss battles with the other deities the main attraction by a long shot. 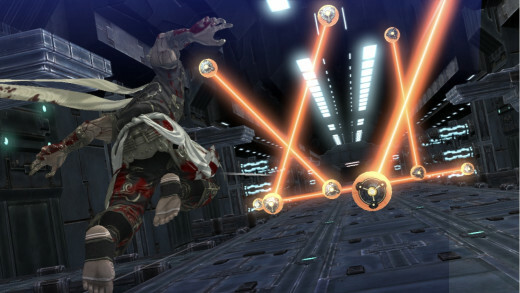 A rage meter gradually fills during your destructive onslaught that allows you to let loose a huge finishing move. 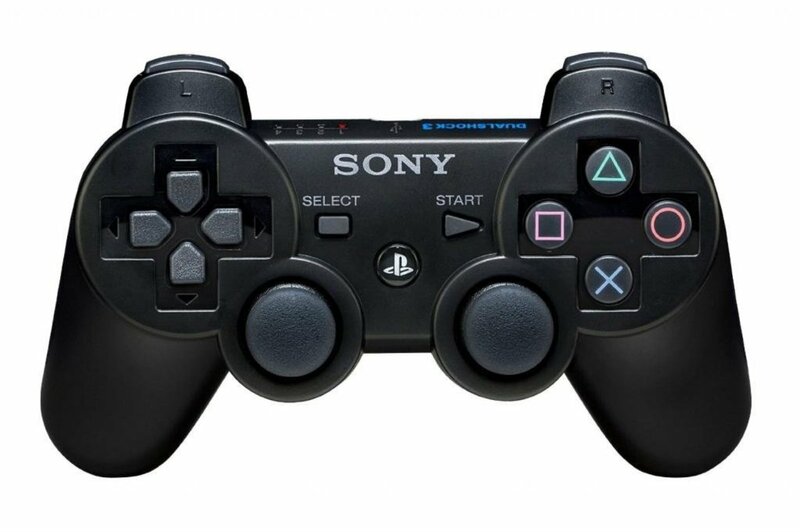 In a way, the rage meter acts as an opponent’s life gauge, as many battles won’t conclude until you obliterate your adversaries in the most definitive way possible. Satisfying as that can be, this also makes battles a bit formulaic. You’re almost always stuck annihilating endless waves until you’re able to release your ultimate attack. Much of the gonzo action is relegated to quick-time events. So much so that it sometimes feels like the Japanese version of a David Cage game. If that sounds like a match made in heaven, you’ll love this. 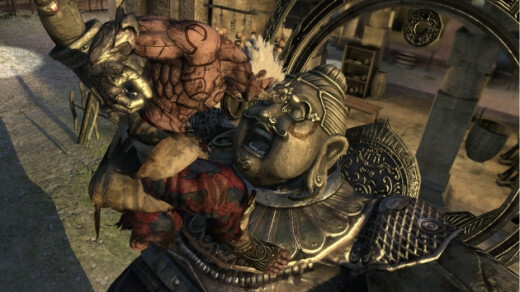 However, Asura’s Wrath may not be for those who turn their noses up at games that rely heavily on QTE. I'm usually pretty indifferent on the subject, but I will say that while the QTE's are fun, I’d have preferred having more direct control over some of the situations instead of having to always follow a series of prompts - especially given that this is an action title. Outside of fisticuffs, you’ll spend a ton of time playing on-rail sequences where you’re either running or flying around blasting stuff with lock-on projectiles and fireballs. Most of these segments provide decent fun though they have a bad habit of overstaying their welcome. 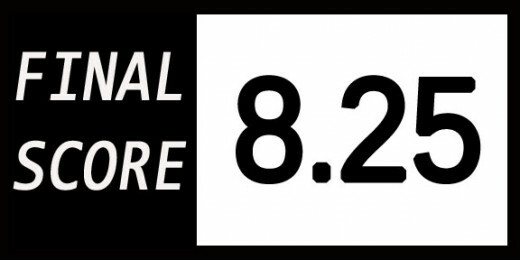 They’re not as polished or as challenging as dedicated games of the genre and I usually tried to rush through them to get back to the normal (if you can call it that) action or reach the next cool plot point. 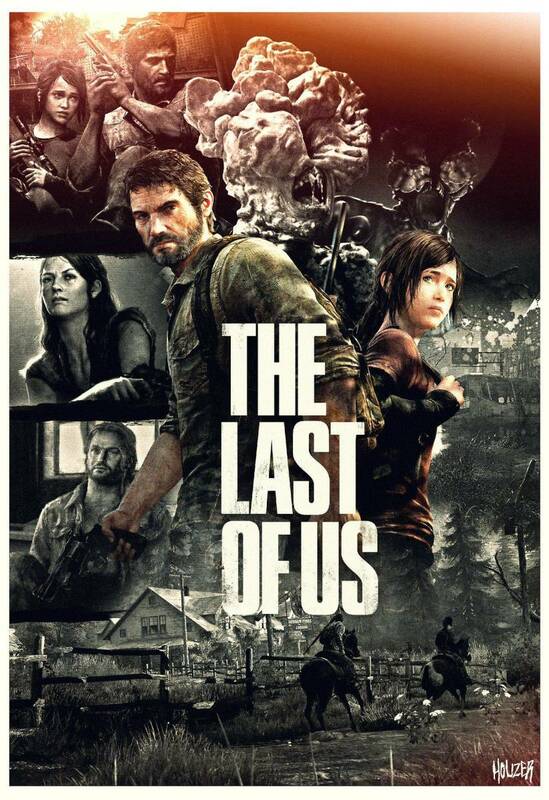 Speaking of which, for a game that places a sizable emphasis on brutish violence, the story is shockingly good and even thoughtful in some ways. Asura’s love for his daughter and the few, tender moments he shares with her and other characters make him a more well-rounded and sympathetic hero than I expected. At times, he reminded me of God of War’s Kratos. I also enjoyed the ambiguity of the antagonists, goofy as some of them are. The villains aren't so much evil as they are misguided as they’re willing to commit unspeakable atrocities for the admittedly admirable goal of rescuing humanity from evil. These gods fully acknowledge their sins but rationalize them as being the only method to finally bringing everlasting peace to a long-ravaged world. Who’s in the right up is up for debate and while Asura is justified in his revenge, is he dooming the world by destroying what may be humanity’s only hope? 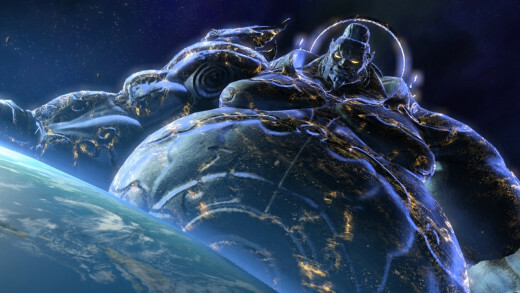 These are great questions that Asura's Wrath does an admirable job of exploring. It’s rather nice to be treated to an engaging narrative in between pulse-pounding action. The game also has a cool anime-style presentation with each chapter acting as episodes, even featuring preview clips of upcoming chapters. This style lends itself well for more fragmented game sessions but having to sit through repeated recaps and previews gets annoying during longer ones. I began skipping the preview clips entirely, both to speed things up as well as to not spoil any surprises for the next chapter. 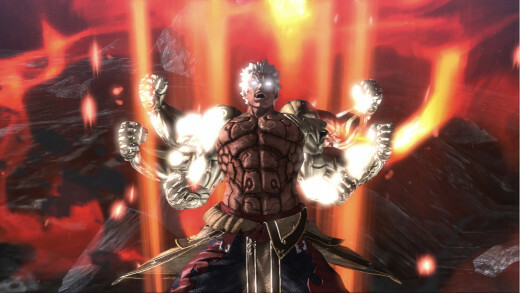 Asura's Wrath was a pretty short game that left me wanting more at times, but it was quite the thrill ride while it lasted. Fans of stupid action (i.e. most anime fans) should definitely give this a shot. Some of the game's craziest moments are going to stick with me for years to come. 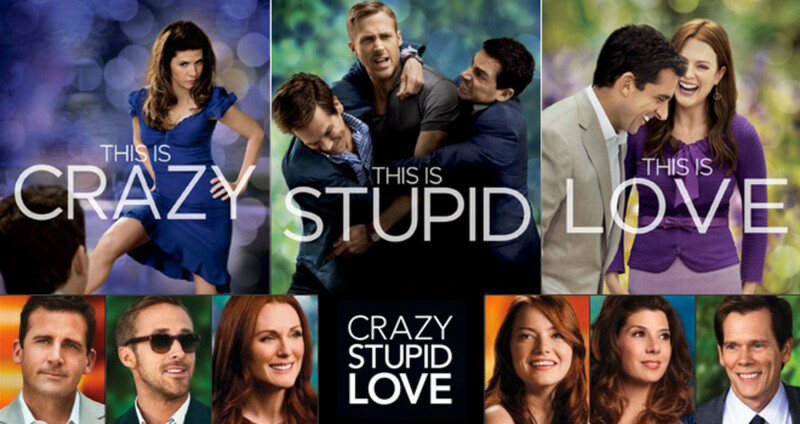 7 Movies Like "Crazy Stupid Love"